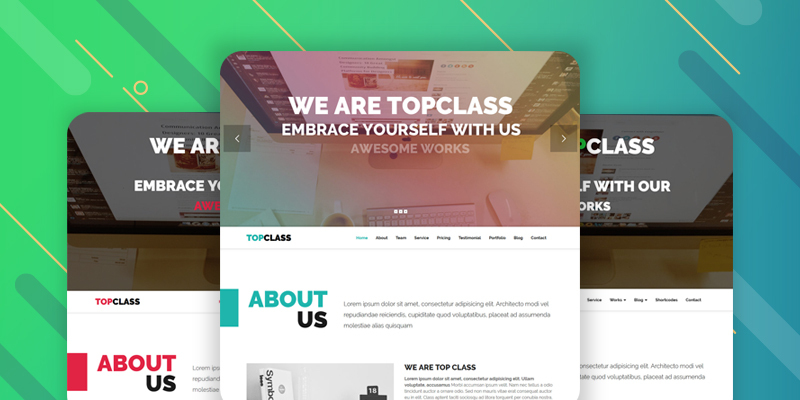 Top Class is a Multipurpose HTML5 Responsive Template built with Bootstrap3.2.0, HTML5 and CSS3 that have well-organized with valid code. We have added some awesome hover effects, 4 set of buttons with different size and styles. There are three color variation including all pages like blog page, blog single page, portfolio page, portfolio details, 404 Error page and yes, of course the short code page. This documentation provide you a clear & full guideline for how to use this Multipurpose HTML5 Template. 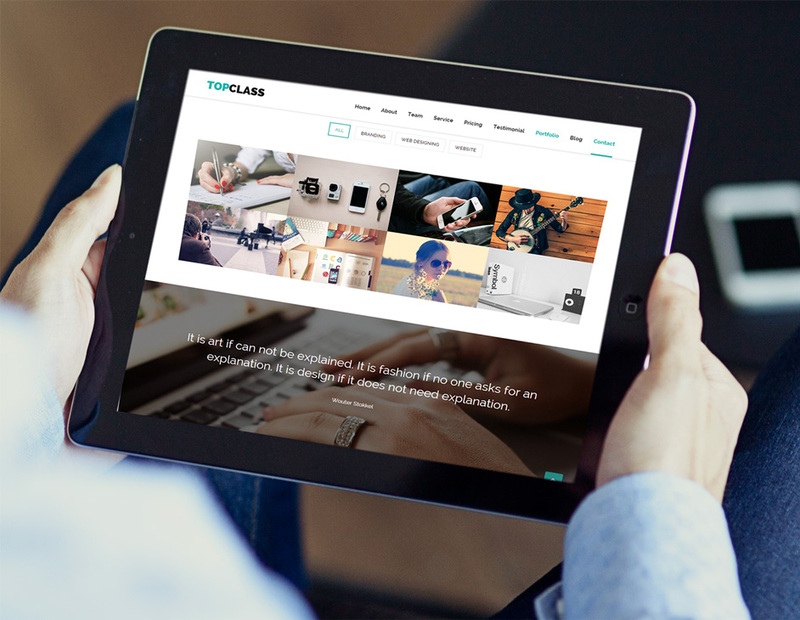 TopClass – Multipurpose HTML5 Responsive Template is perfect for all device. It’s stand for perfect Responsive Design. Template size will be automatically adapt on mobile, tablet, desktop, Laptop and Kindle. 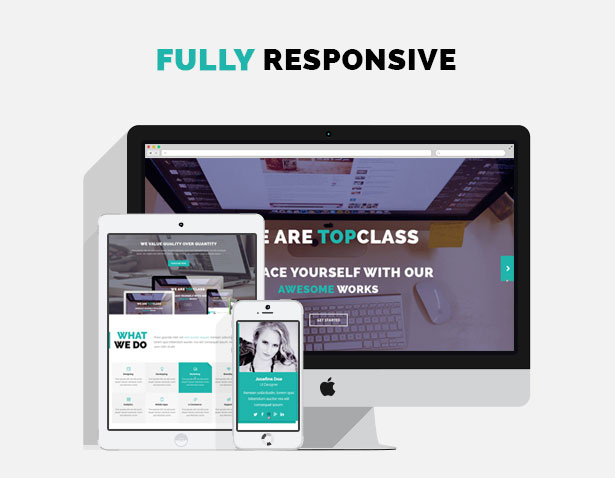 TopClass Responsive HTML5 Template build with Bootstrap, Font Awesome, Jquery, Google Maps API. 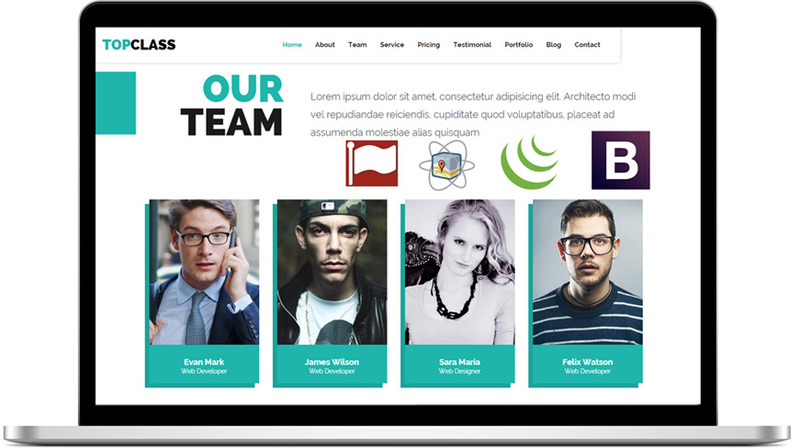 All this latest technology make this HTML5 Template better for use. You can express what you do and what is your price by this system. We include awesome pricing table and what we do system. Showcase each and every parts of your business in a great way. Listen your client and put their feedback into this section. Give your client social ID and your service URL also. This will prove that you are true. So that we build this awesome Client Feedback Page Section. Add your images here. This gallery can be work as your work portfolio or your photography. Pop Up image view make this gallery more better for use.